As another month draws to a close, I find myself looking forward to reading everyones monthly favourites posts, so this time I decided I would also contribute one! Without further delay, here are four of the things that I loved in the month of June. 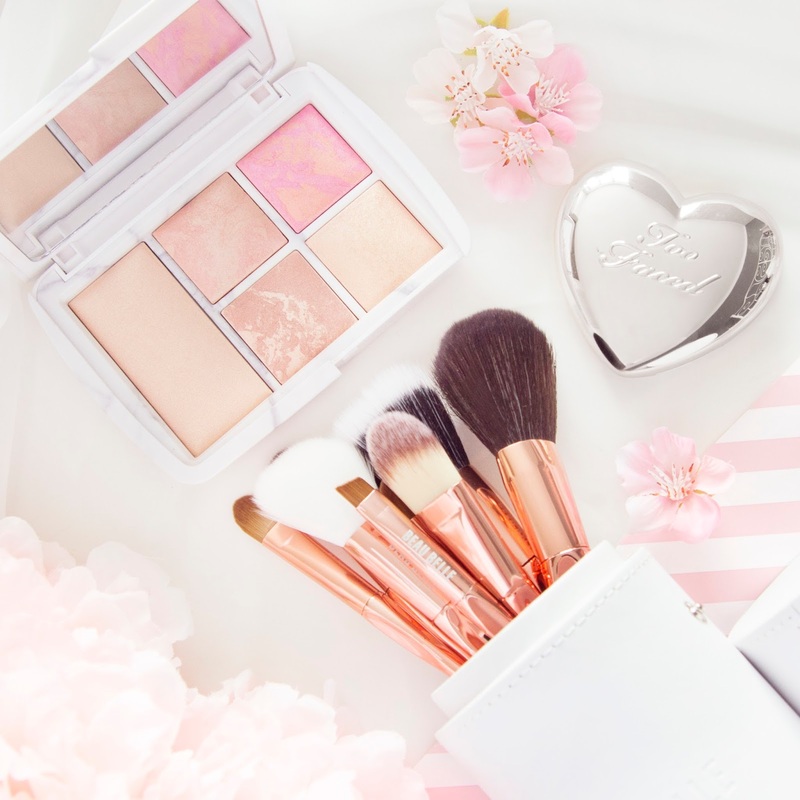 I've been a big fan of Zoeva makeup brushes for years now, I find that the quality is incredible for the price and they have a pink and rose gold range ... what's not to love! Despite being a big fan of their brushes I had never tried their makeup range, so when I saw the Basic Moment collection pop up on my Instagram feed I knew I had to own something. I'm a simple "one shade shadow" type of girl, so the Basic Moment eye shadow palette which is packed full of wearable everyday shades is perfect for me, there isn't one colour I haven't used! 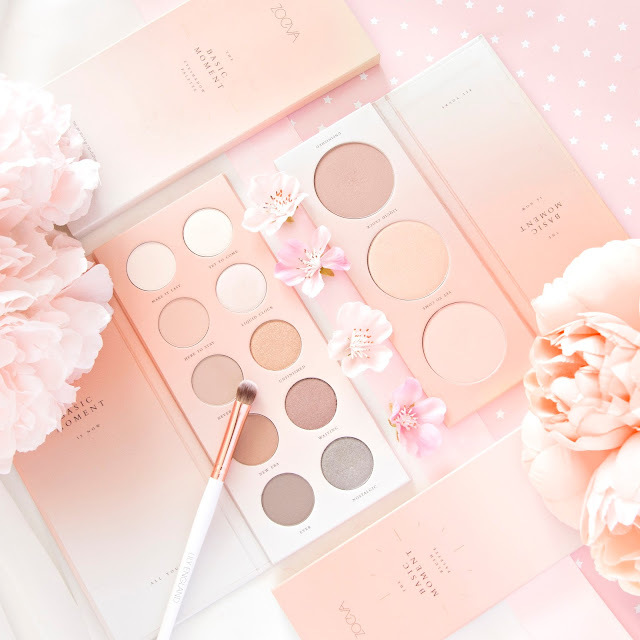 The blush palette contains a blush, a bronze and a highlight shade, and though the bronze isn't my favourite (I am super picky when it comes to bronzers!) I'm in love with the blush and highlighter, which make my complexion look so bright and glowy, without looking like I'm wearing too much makeup. In the past month I feel that I have made huge leaps in confidence with regards to my blogging and Instagram content. I've been lucky enough to be given opportunities that have pushed me outside of my comfort zone, such as the Feel Unique and John Frieda collaborations which involved me having to show my face on Instagram. I was so terrified before posting those images, but I received the loveliest, most supportive comments from you guys, so thank you for that! 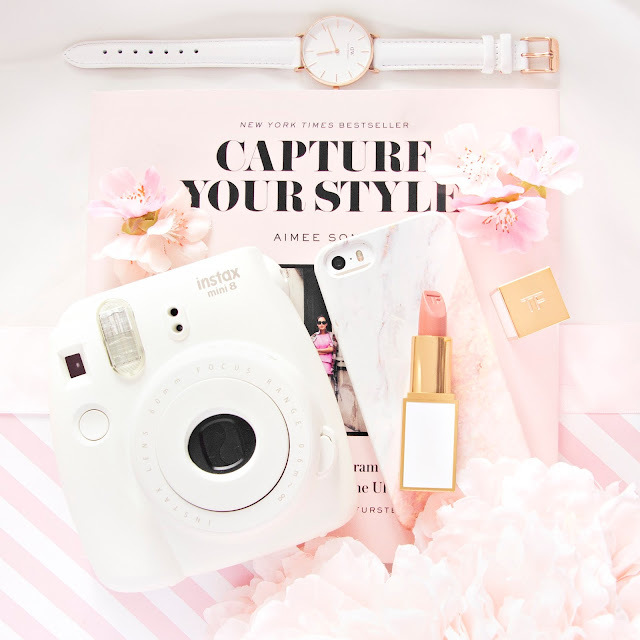 Last month I was also sent two beautiful watches from ADEXE and Daniel Wellington, and was therefore tasked with writing fashion related content for the first time. Though there are bits of those posts which make me cringe, I'm quite happy with the way they turned out, and I'm eager to try to write a few more! Speaking of stepping outside of my comfort zone, this month I tried fake tanning for the first time. As a super pale girl with no ability to tan naturally, the concept of smothering myself in a semi-permanent brown mousse was one which had horrified me for years, however with a little bit of encouragement from Fran, last month I decided to go for it. 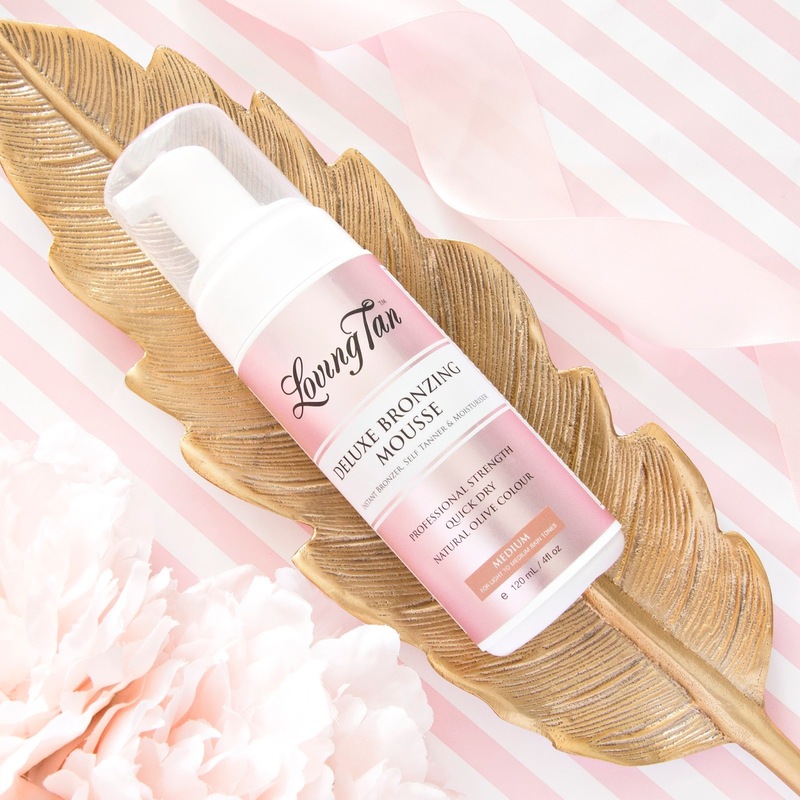 I chose Loving Tan's Deluxe Bronzing Mousse in the shade medium, after reading hundreds of rave reviews. The first time I applied it I was so cautious that I used not nearly enough product, so it actually made little difference to my skin tone. The next time I was feeling much more confident, so I used double the amount of product and left it on overnight, rather than for the recommended 6 hours. This time the shade was much darker, but I somehow managed to miss huge patches on my arms and the backs of my legs, and I used too much product on my hands. I'm just about prepared to go in for round three now, so fingers crossed this time it will turn out perfectly! Those of us who live in the UK actually got to experience some sunshine in June, with temperatures soaring to 30+ degrees in London. During this hot weather spell I discovered that storing facial mists in the fridge is a great way to keep cool throughout the day. My favourite is Jurlique's Rose Water Balancing Mist*, because it smells heavenly, but this method would work with any face or body mist. Not only is it a wonderfully cooling treat, but it's also a great way of keeping skin looking fresh and feeling hydrated throughout the day. 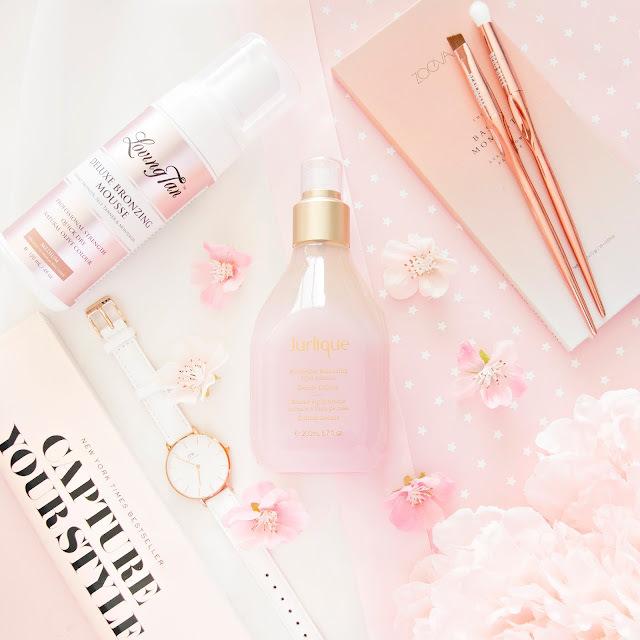 So those were four things I loved in June, let me know if you like these kind of posts and I'll try to make it a regular feature on my blog, also let me know what you have been loving over the past month in the comments!